Drive time maps are important tools for analyzing the trade area around any store location. How long and how far are people willing to drive to reach a location? Within a drive time map, you can analyze the underlying data such as understanding the demographic profile of the population within a 10-minute drive time of a store. 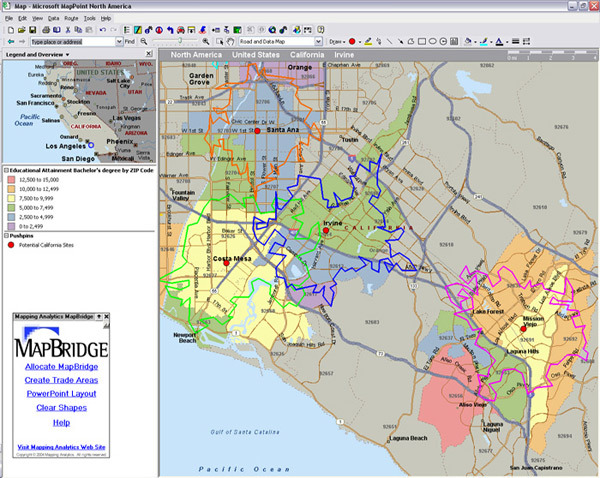 Mapping Analytics uses drive time maps and drive time analysis when helping clients perform site selection, profile customers or determine trade areas.